Why guess when you can test? 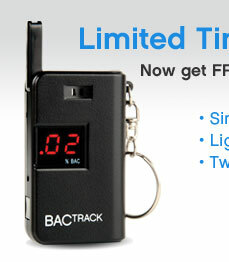 The BACtrack Keychain Breathalyzer is a breath alcohol screener that quickly estimates blood alcohol content. The BACtrack Keychain is compact, lightweight and offers an innovative folding mouthpiece design. 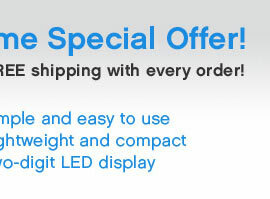 Simply blow into the unit and within seconds the LED displays a precise result on the digital readout.